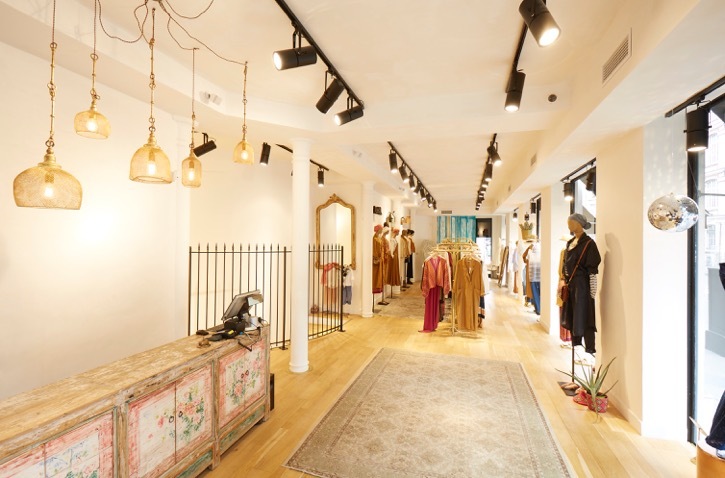 It is in the heart of Paris, in the very lively and touristic district of the 2nd arrondissement of Paris, that the high-end ready-to-wear house has chosen to inaugurate its first flagship, for the anniversary of the ten years of the Mark. Located near the Montorgueil street, a few steps from the center of the district known for its high-end fashion boutiques, discover this new case bathed in light. Let yourself be seduced by the linear of its windows announcing the premises of elegant and refined collections. A theatrical scene that animates the heart of the Parisian house. A real wealth that illuminates a whole season. 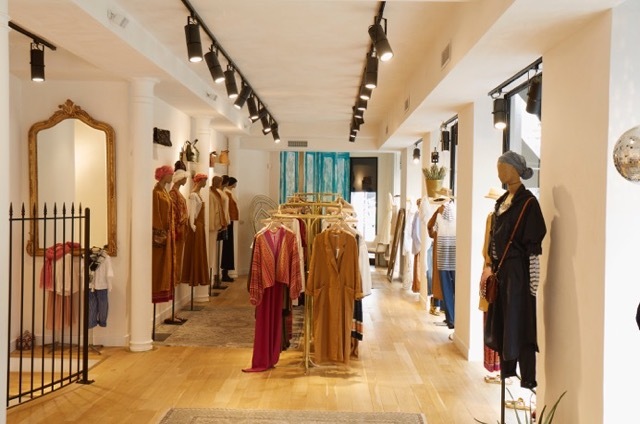 An interior thought as a true fashion concept, purified offering a first space of discovery of collections. These take place at the center of the first level. The colors of the prints heat the plain walls and interact with the metal luminaires. This jewel is a breath in the heart of a bustling and attractive Paris. Come and enjoy the time of a trip and discover our history to the rhythms of music and bohemian notes. A beautiful child capsule adds to the story of Mes Demoiselles... Paris.